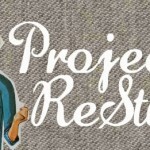 MayDae is officially participating in Project ReStyle, and we are uber-excited! 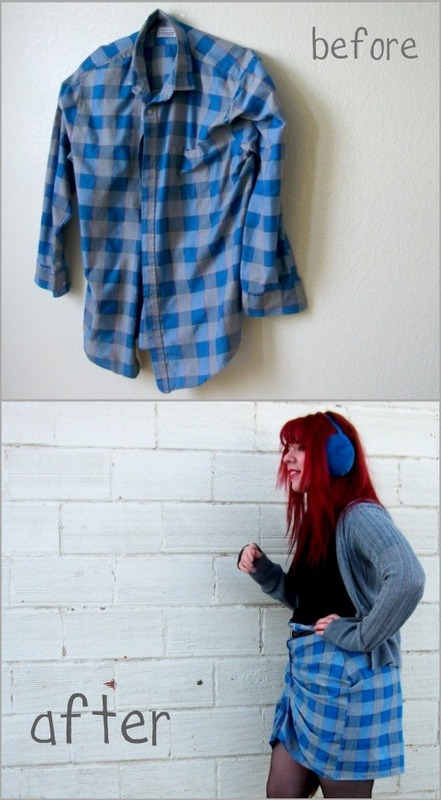 Project ReStyle means taking unwanted, used, or even trash items and creating them into something beautiful or usable. Click here to read the full guidelines and maybe join us for some creating? Stormie Dae and I will each be doing 1 ReStyle every month in 2011, and posting them right here on our blog. And guess what? I get to show you my first one today! 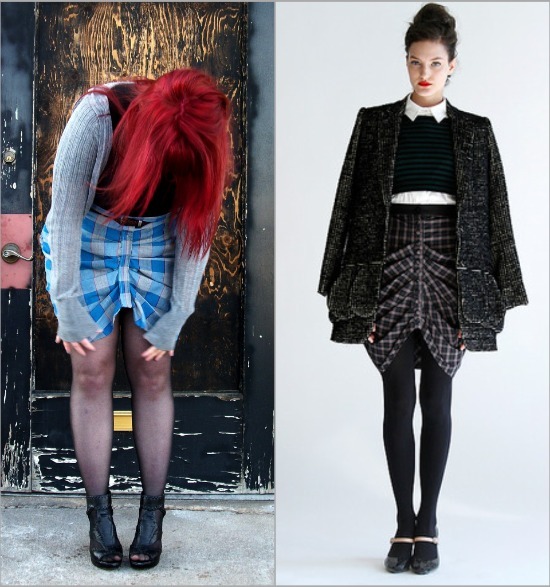 The skirt on the right was my inspiration. The look is by Timo Weiland, and it’s from his Winter 2010 collection. LOVE. And, as an added bonus, my new teal ear muffs matched perfectly. Double LOVE. All photos of me taken by Tristan Kelley on a cold, cold day (thanks honey!). She set the bar pretty high! That’s awesome! 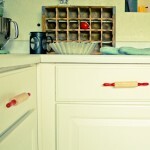 Love the concept of Project ReStyle. I Love how this turned out!!!! What a great first project. Can’t wait to see your next one! This not what you had on when I seen you yesterday!! Very cute! You did a great job!!! Can’t wait to see more!